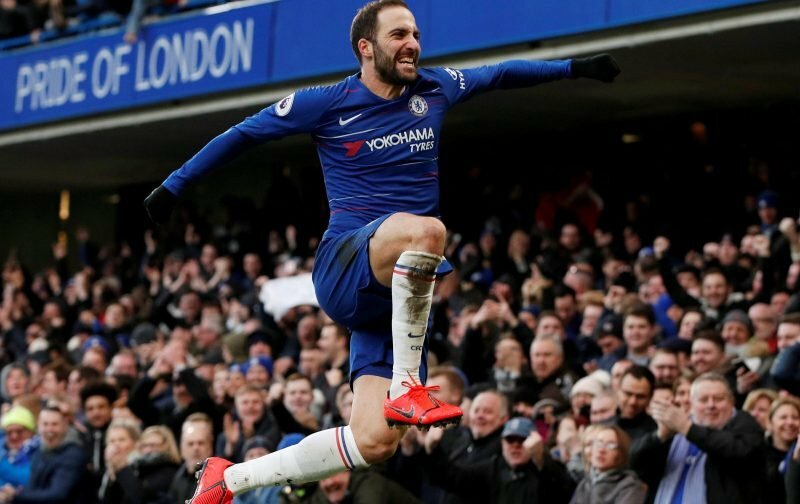 Since arriving at Stamford Bridge, albeit on loan, it is fair to say that Gonzalo Higuain has shown that even at 31-years-of-age, there’s a certain something about him. The Argentine striker, who already has two goals to his name, since joining Chelsea Football Club, has shown that he is able to link the play up far better than Alvaro Morata whilst also possessing that unerring eye for goal that world-class strikers have. However, when it comes to his long-term future, there could be a few problems ahead. According to the news source, ESPN Chelsea are confident that they can negotiate a permanent deal for the striker for less than the €36 million Juventus are asking for. But will that be the case? Juventus, having loaned the player to AC Milan, at the start of the season, obviously have no long-term plans to utilise his attributes in their squad and, probably, would like to get the player off their books. But, and it’s a big but, would they really be prepared to cut their losses if they see that Higuain is scoring prolifically? It’s a point to ponder over! Please feel free to offer your views on the above subject matter in our comment feature beneath this article. Well, I think Chelsea should only negotiate having him on loan for another full season and get Mauro Icardi/Luka Jovic for long term solution, Loan Abraham to any English top flight club, hopefully, he’ll be ready to replace Higuine the next season.